Search Results for "domestic violence"
Little sad girl at home. Domestic violence concept. Child abuse. A frightened child asks for help. Domestic violence. Portrait of Caucasian girl sitting near car lost. Beautiful shocked woman in headlights shocked after emotional tragedy. Shadow of angry mother scolds crying son. Domestic violence and children abuse concept. Aggressive drunk husband grabbing yelling wife's leg and trying to pull away from kitchen table during family quarrel. Angry man using force against defenseless woman suffering from domestic abuse. Shadow of angry mother scolds frightened son. 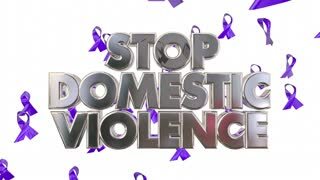 Domestic violence and children abuse concept. 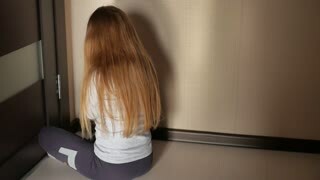 a desperate child in depression sits at the wall of his room, tries to attempt suicide. next to it is an abandoned soft toy. 4k, slow motion. Doctor's hands check the face of a young woman with bruises, possibly from domestic violence, as she sits in hospital exam room. Close up. A senior woman in bed is shoved by an abusive man in an elder abuse, domestic violence scene. Shot in 4K UHD. A senior woman on her bed suffers elder abuse when an abusive caretaker throws clothes at her. Shot in 4K UHD. Domestic violence. A man screams at a woman. Child abuse. Domestic violence. Abduction of a child. Child abuse. A frightened little girl is sitting on the floor. A domestic violence scene of an abusive man shouting at a senior woman who is a victim of elder abuse. Shot in 4K UHD. A senior woman - victim of physical elder abuse and domestic violence - uses her hand to cover a bruise on her arm. Shot in 4K UHD.